Farnham Barbarians 48 vs. 22 London Irish 4ths - 23 October 2011 - 4th XV - The Barbarians - Farnham R.U.F.C. Farnham launched their new Barbarians team in style on Saturday, with a convincing win at home against a similar London Irish side. 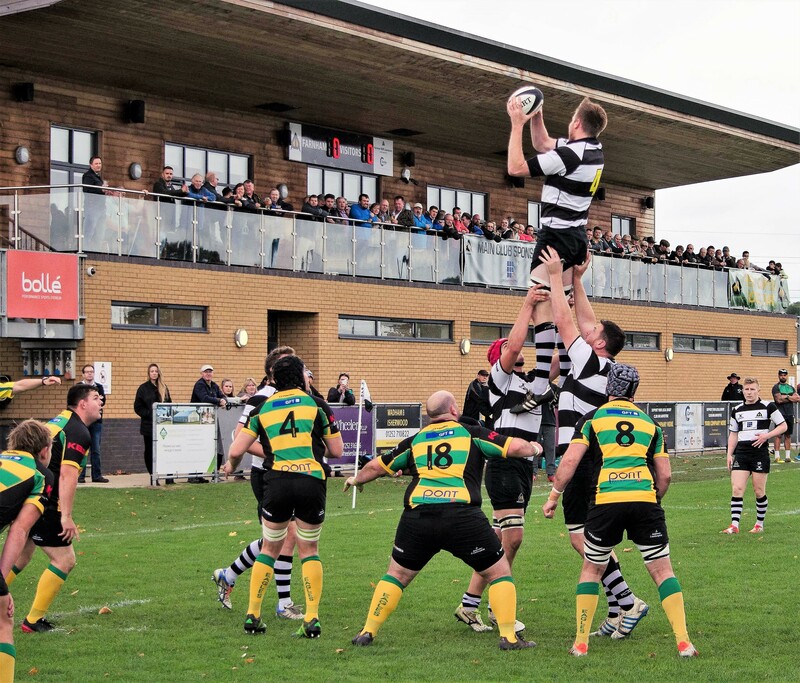 The concept of the Farnham Barbarians team is to develop young players from the Academy into the Senior Club, whilst also providing competitive rugby to players returning from University or just visiting the area for the weekend. Saturday’s team contained four seventeen year olds from the Academy as well as five nineteen year olds back from university for the weekend. Interestingly the team also contained a number of family combinations with Club Captain Karl Brown joined by his son Ollie and brother Mark, and Academy Coach Paul Keogh playing alongside son Ed. In front of a sizeable crowd Farnham began the game strongly, with young flanker Nathanael Watts-Plumpkin impressing with his tackling of bigger opponents. Inspired the rest of the team followed this lead, with Paddy Vasey and the older members of the pack repeatedly carrying the ball well to keep Irish under pressure. Some what against the run of play Irish scored from a rare foray into the Farnham 22, but Farnham scored tries through Mark Brown, with a determined surge, and Paul Keogh, who was on hand to pick up and score after Watts-Plumpkin had “scored” on the 5m line, and turned around at half time with a lead. In the second half the Farnham pack retained more ball, allowing scrum half Ollie Brown to repeatedly launch a pacy backline at the opposition. This led to a number of further scores from centres Will Cameron-Lewis (2) and James Corlett (2), whilst Ed Keogh also showed his blistering pace for a fine individual try. Not to be outdone father Paul scored his second try by taking a pop pass from Ed as he was tackled just short of the line. Mark Brown converted one try, whilst Chris Jenkins was successful with three conversions to leave Farnham winners by 48 points to 22. Despite the 1st XV losing in the league, this was a good day for the club with four senior teams playing, and a number of young players showing that they have a bright future ahead of them at the club. Future matches for the Barbarians are planned, with players asked to notify Club Captain Karl Brown of when they are returning from their studies and would like a match.